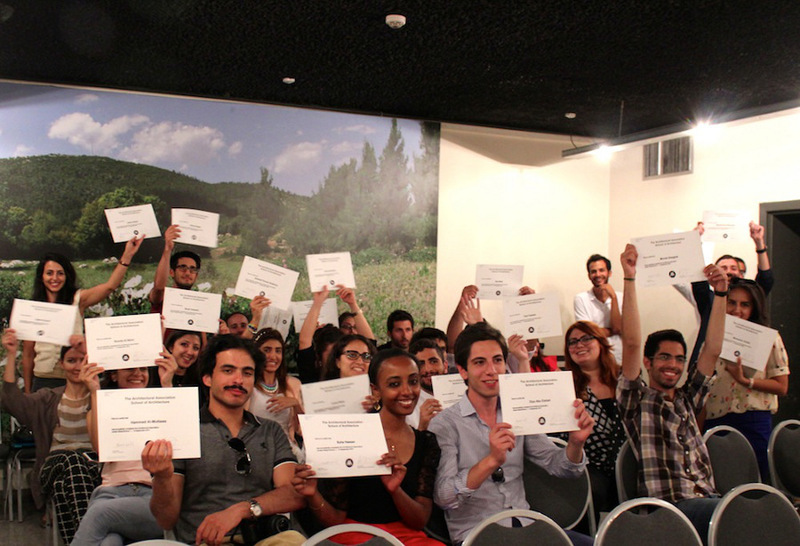 On June 2013 Co-de-iT was invited for tutoring the AA Visiting School Jordan 2013 from its director Riyad Joucka. The Visiting School took place from 1st-10th september in Amman. 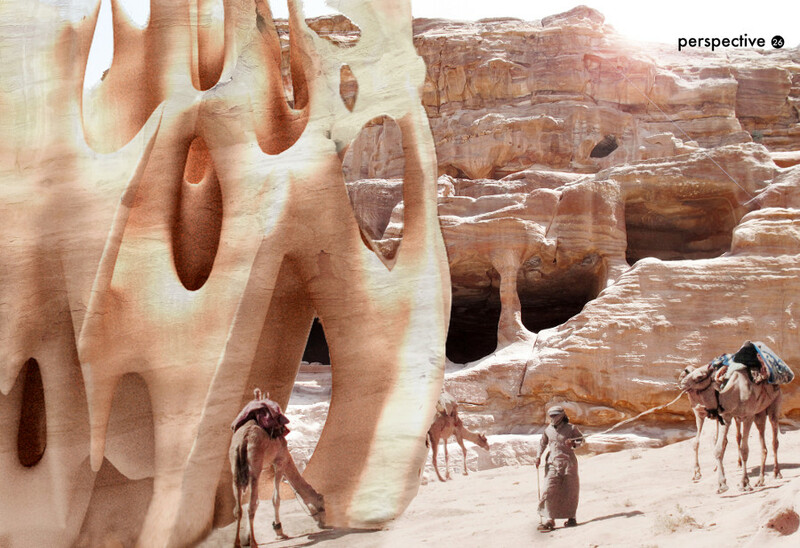 The workshop proposed the rethinking of the process of developing architectural interventions within the Jordanian desert. 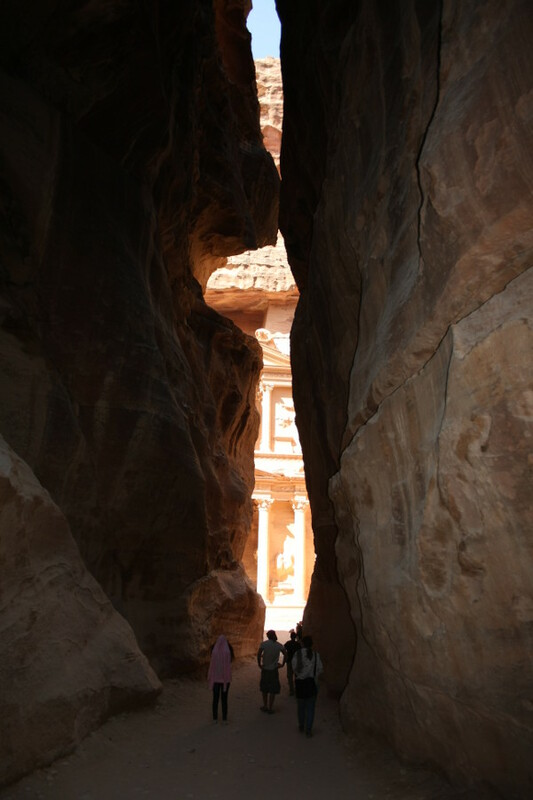 Set within the dynamic city of Amman, the rose-rock carved city of Petra and the echoing desert of Wadi Rum. 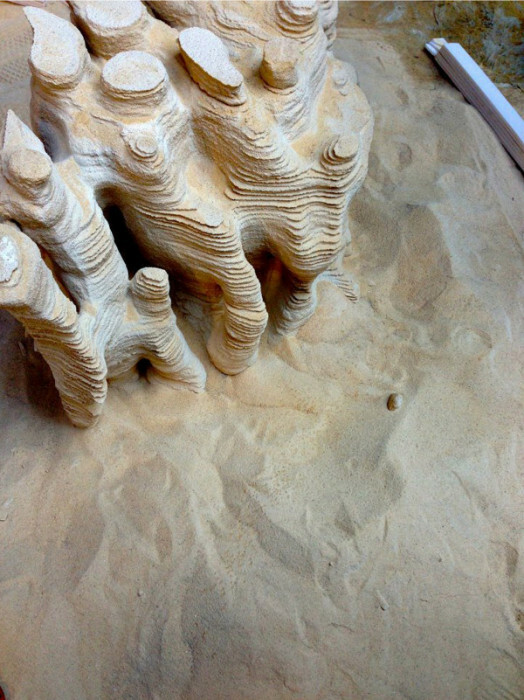 Throughout the 10 day programme, participants familiarized with generative modeling techniques and computational analysis softwares through seminars and were encouraged to observe natural formation as a precedent for the production of macro and micro architectural interventions within the desert ecology. 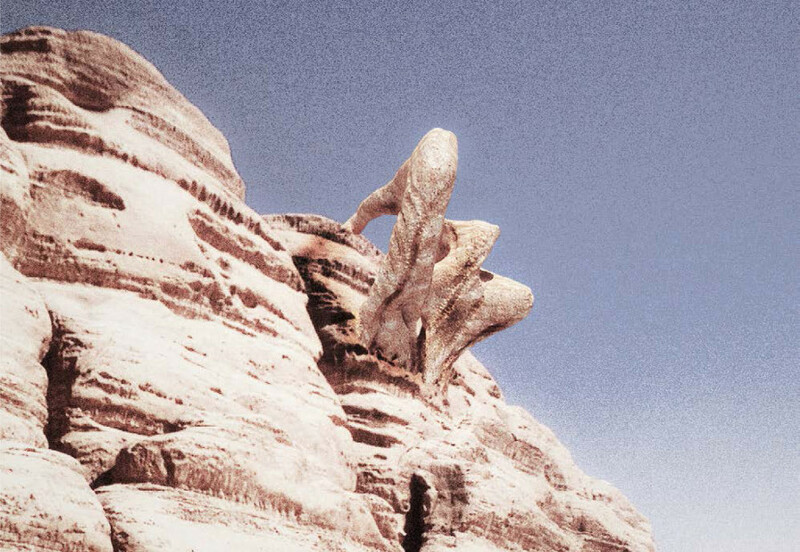 The Co-de-iT unit (Tommaso Casucci and Alessandro Zomparelli) explored the use of advanced computational strategies and simulation to define proactive architectural formations inside the extreme conditions of the desert ecology. This design intent was pursued through the use of non linear strategies operating within systems of multiple self-organized agents and lattice simulations. 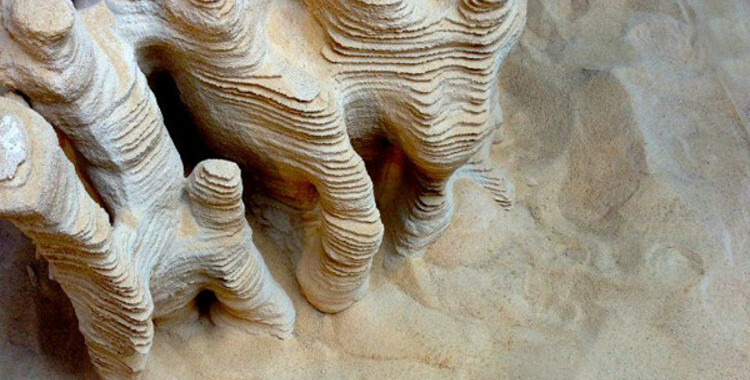 Starting from the observation of natural fenomena inside the Jordanian desert, the students was guided in the use of digital simulation, reproducing some of the rules behind many of the observed natural formations, towards architectural design intents. From a purely technical standpoint students approached a set of advanced computational tools such as Rhinoceros Grasshopper (stresses analisys with Millipede) and Processing (Multiagent based simulations, CA/Reaction Diffusion systems) in an integrated pipeline for design. Co-de-it unit was sponsored by D-Shape that offered its support as consultant and their registered materials for the fabrication of large scale 3D models produced transforming desert sand in a solid and efficient building material. The workshop included a 2 days field trip on the desert of Wadi Rum and the ancient city of Petra. During the filed trip students were encuraged to document natural and manmade formations present in the desert environment. Back to Amman students assisted to a series of tutorials introducing them to the use of Processing and in particular multi-agent based simulations and CA/Reaction Diffusion systems and to the use of Millipede for Grasshopper for stress analysis. The students was then organized into two sub-groups to work to two final project proposals. The final presentations consisted in a 15 minutes presentation of images and videos explaining the projects and a series of physical models. 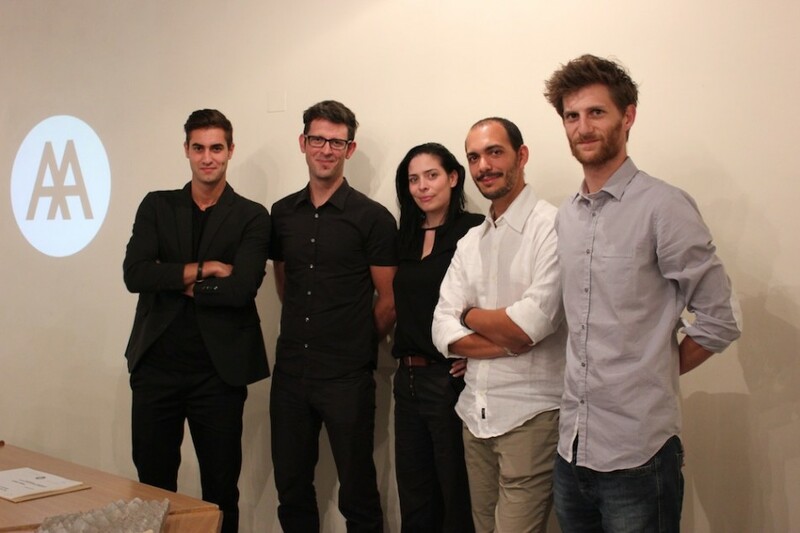 students: Agata Kurzela, Ban Edilbi, Farah Mudhefer, Mahmoud Aref, Sarah Hussein, Shahad Farouk Ghafoory. The project is a proposal for an architectural infrastructure able to provide the path to Petra with spaces to rest, walk and have physical activity inside climately controlled areas. 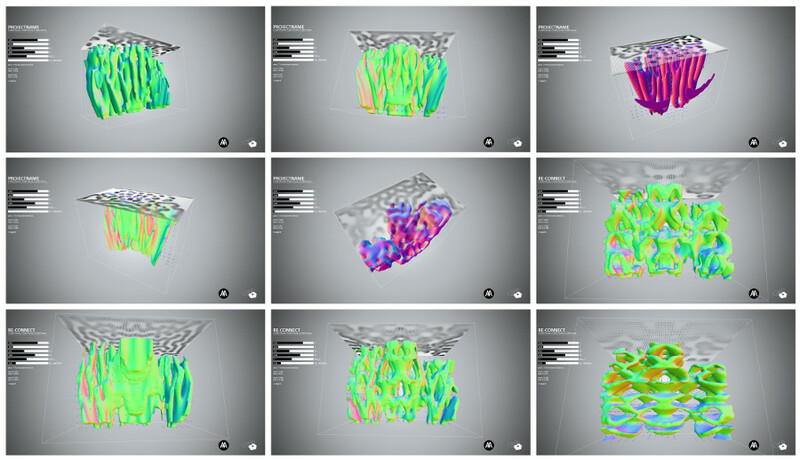 The design process consisted in the combination of topological optimization studies based on stresses analysis, defining the overall distribution of the project, and a 2.5D Reaction Diffusion (Grey Scott) system that were used to define the detailed spacial qualities of the overall formations. In particular more or less dense areas are defined accodingly to stresses intensity throughout the analysed volume. students: Tala Fasheh, Mohammad Al-Majed, Adeen Ghaith, Hashem Joucka, Sounia Al Nimiri, Suha Hasan, Morad Alzaghal.
. Acknowledgments thanks to Riyad Joucka for inviting us to the workshop and for organizing such a great event, thanks Ursula Frick and Thomas Grabner (UTO) for being such a great partners in tutoring the Visiting School, thanks to all the students for all the hard work in finishing the projects in time and fabricate the models, thanks to Christopher Pierce the overall organization, support and encouragement.